Includes Royals, Golds, Kagero, and Link Joker. As well as cards featured in the movie(obviously). Comes out September 24th. Pre-released in theaters on the 13th. 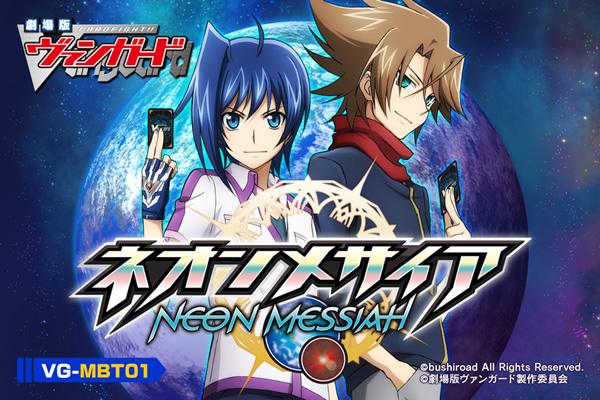 Aichi looks gayer than usual. Fabulous. [AUTO]:[Counter Blast (1)] When this is placed on (GC) from hand, you may pay the cost. If you do, call five cards from the top of your deck to (GC) at [Rest]. [AUTO](RC):[Counter Blast (1) & Put this unit into your soul] When this unit's attack hits a vanguard, you may pay the cost. If you do, look at three cards from the top of your deck, search for up to one card, call it to an open (RC), and put the rest on the bottom of your deck in any order. 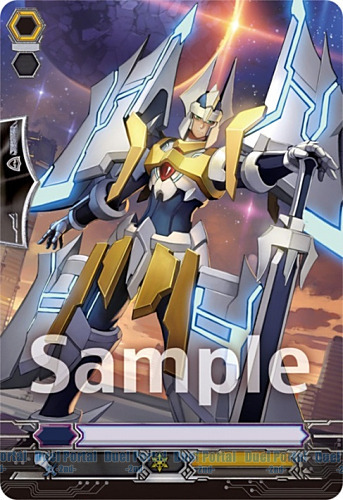 [AUTO]:When this unit is placed on (GC), if the number of locked cards your opponent has is two or more, this unit gets [Shield]+10000 until end of that battle. 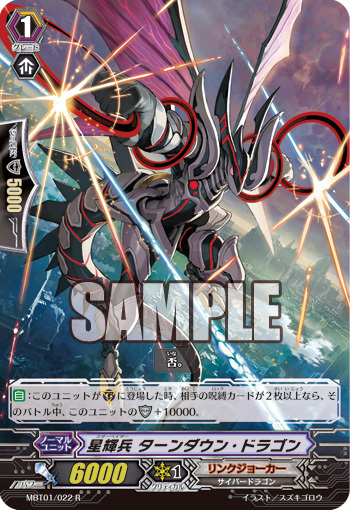 [AUTO](RC):When your opponent’s rear-guard in the same column as this unit is put into the drop zone, if your vanguard is in Legion, this unit gets [Power]+5000 until end of turn. [ACT](VC):[Counter Blast (3)] If this unit is in Legion, choose one of your opponent’s rear-guards, and retire all of your opponent’s rear-guards in the same column as that unit. Then, if the number of rear-guards your opponent has is two or less, choose a card from your damage zone, and turn it face up. 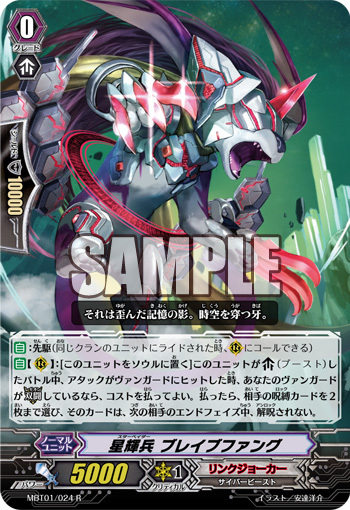 [AUTO](RC):[Put this unit into your soul] When an attack hits a vanguard during the battle that this unit boosted, if your vanguard is in Legion, you may pay the cost. If you do, choose up to two of your opponent’s locked cards, and those cards cannot be unlocked during your opponent’s next end phase. 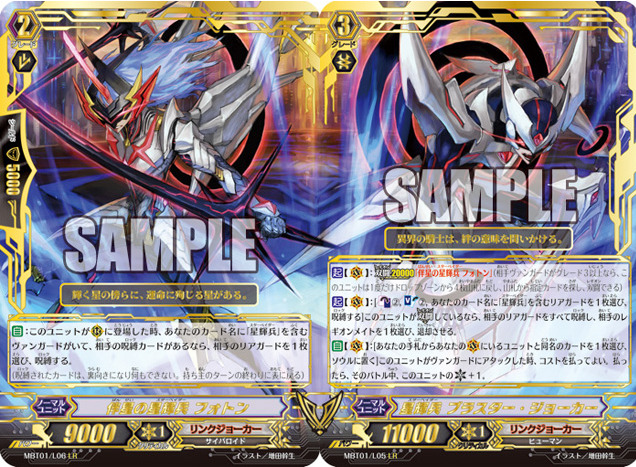 [AUTO]:When this unit is placed on (RC), if your vanguard is in Legion, and the number of locked cards your opponent has is two or more, search your deck for up to one card named "Star-vader, Blaster Joker", reveal it to your opponent, put it into your hand, and shuffle your deck. Oh hey i remembered this place existed. 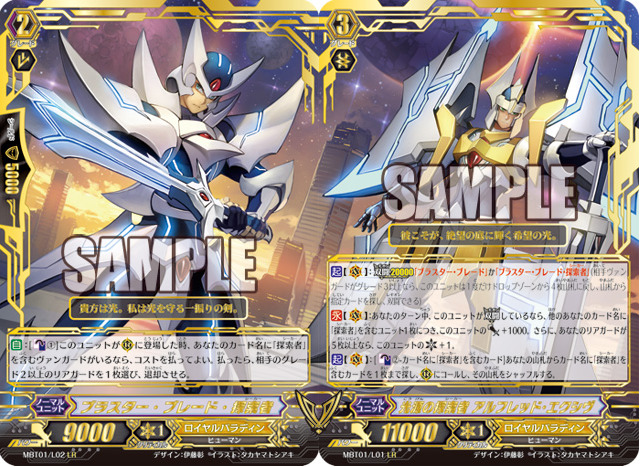 And my goodness vanguard is nutz. Makes me want there to be some halfway decent way to play it again. Hot damn this set may just help fix vangaur- Who am I kidding, this game is ded. [CONT](VC):During your turn, if this unit is in Legion, this unit gets [Power]+1000 for each other unit you have with “Seeker" in its card name. Then, if the number of rear-guards you have is five or more, this unit gets [Critical]+1. 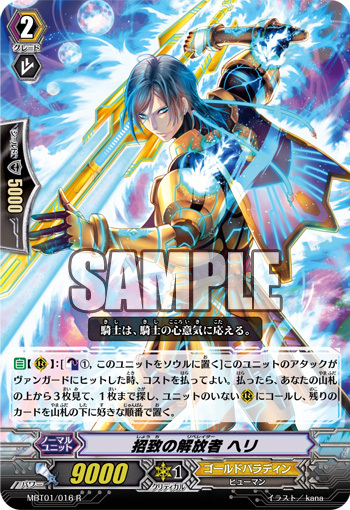 [ACT](VC):[Counter Blast (2)-card with “Seeker” in its card name] Search your deck for up to one card with “Seeker” in its card name, call it to (RC), and shuffle your deck. 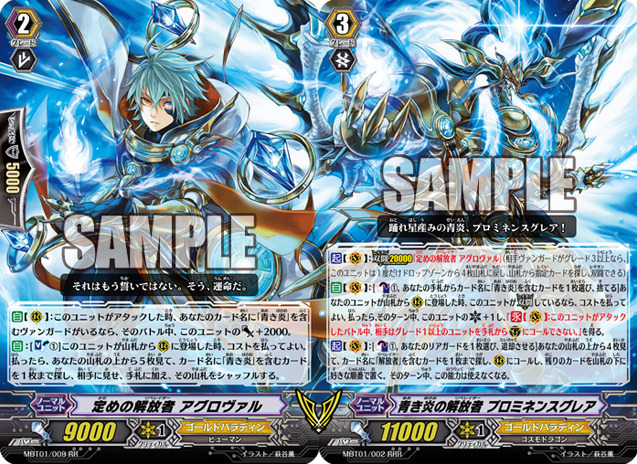 [AUTO](RC):When this unit attacks, if you have a vanguard with “Bluish Flame" in its card name, this unit gets [Power]+2000 until end of that battle. 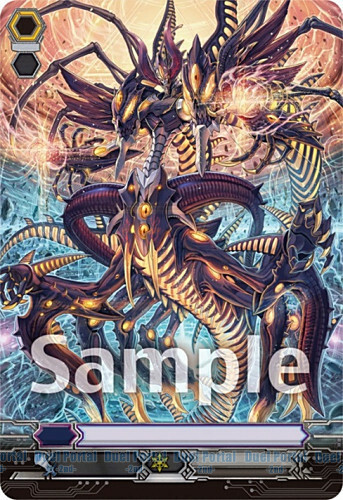 [AUTO]:[Soul Blast (1)] When this unit is placed on (RC) from your deck, you may pay the cost. If you do, look at five cards from the top of your deck, search for up to one card with “Bluish Flame” in its card name, reveal it to your opponent, put it into your hand, and shuffle your deck. [Counter Blast (1) & Choose a card with “Bluish Flame” in its card name from your hand, and discard it] When your unit is placed on (RC) from your deck, if this is in Legion, you may pay the cost. 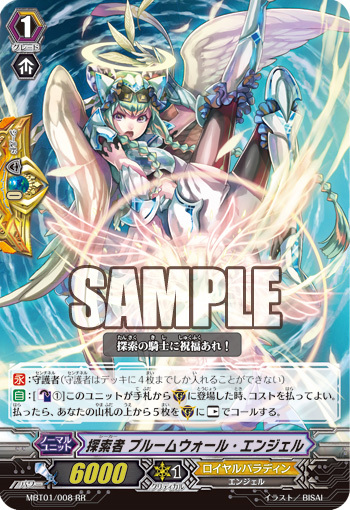 If you do, until end of turn, this unit gets [Critical]+1 and “[CONT](VC):During the battle that this unit attacks, your opponent cannot call grade 1 or greater units to (GC) from his or her hand.”. 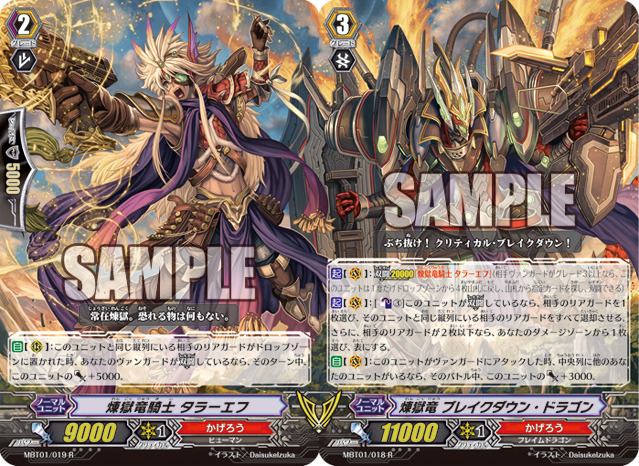 [ACT](VC):[Counter Blast (1) & Choose one of your rear-guards, and retire it] Look at four cards from the top of your deck, search for up to one card with “Liberator” in its card name, call it to (RC), and put the rest on the bottom of your deck in any order. This ability cannot be used for the rest of that turn. Alfred should take notes from Percival. The new Prominence is probably the only thing that Liberators really needed outside of a form of unflipping damage, and now that they have it... Geeze. [ACT](VC):[Counter Blast (2) & Soul Blast (2) & Choose one of your rear-guards with “Star-vader" in its card name, and lock it] If this unit is in Legion, lock all of your opponent’s rear-guards, choose one of your opponent’s Legion Mate, and retire it. 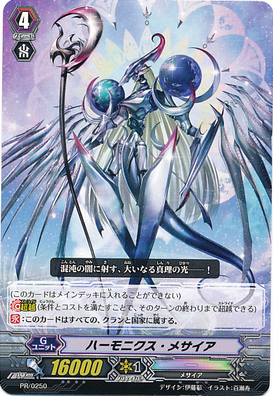 [AUTO](VC):[Choose one card with the same name as a unit in your (VC) from your hand, and put it into your soul] When this unit attacks a vanguard, you may pay the cost. If you do, this unit gets [Critical]+1 until end that battle. 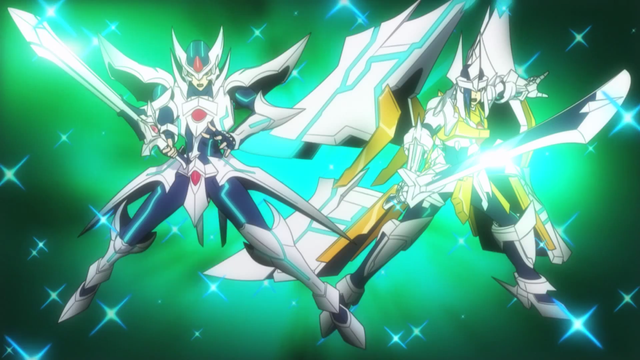 The ego of "Photon", stimulated during his battle with "Blaster Blade", was awakened. His first autonomous action was to take over the position of his ex-master, "Garnet Star Dragon". The colossal dragon was ambushed during the spacetime travel, and its body was torn apart by the gaps of dimensions. Thanks to his achievement of capturing the Singularity of the History, as well as the line-of-duty death of the commander due to "an unfortunate accident", Photon was promoted at a drastic pace. A sneer flickered his lips naturally---the first emotion he learnt was “pleasure”. 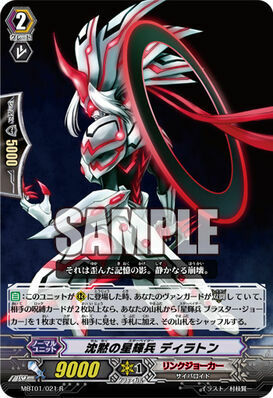 The Яeversed "Blaster Blade", with any cognizance of his original emotions removed. 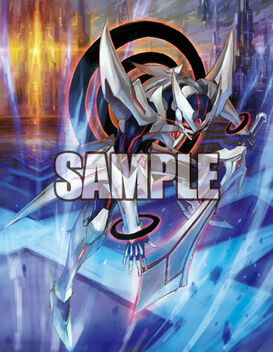 Within "Link Joker", he is categorized as a warped-emotion-type inverted being. The pain he feels at being unable to understand his own memories is directly linked to his destructive impulse, creating an even greater power. As the first provisional success of the experiment, it is handled with the utmost of caution, and must be in some form of contact with its guardian "Photon" at all times. A pitiful, mad hero whose mind has been infested -- this hollow trump card calls despair to return to the world once more. Well I'm totally not just posting here cuz YCM is down or anything. But how about that messiah and stuff? Idk if already posted. Totally not a desperate attempt to entertain myself with something or other while I have no where to lurk.